I have a new favorite downloadable video game on the Nintendo 3DS. It is Touch Battle Tank - Tag Combat. My dad showed me a game called Combat on the Atari 2600. Touch Battle Tank - Tag Combat is very similar to the tank battles in Combat on the Atari 2600. There are some differences of course. Touch Battle Tank - Tag Combat sounds better, and it looks better. We battle it out with tanks in Touch Battle Tank - Tag Combat. Tanks come from Gauntlet like spawners. So a smart player will get to those spawners and blow them up as quickly as possible. At the same time players must avoid getting hit by the plethora of tanks that are shooting at us. Thankfully Touch Battle Tank - Tag Combat is a pretty fast game. I love the controls in Touch Battle Tank - Tag Combat. I move the tank around with the joystick, and then tap which direction I want to fire. That means I can shoot in a different direction than I am moving. Brilliant! Touch Battle Tank - Tag Combat has walls and other obstacles that the player must drive around. This can add strategy to this arcade like tank battling video game. There are fifty stages, and forty extra stages in Touch Battle Tank - Tag Combat on the Nintendo 3DS. Touch Battle Tank - Tag Combat even has local multiplayer in it. How cool is that? The only downside to multiplayer is both devices need a copy of the game. I could not find a way to get the download play to work with Touch Battle Tank - Tag Combat. 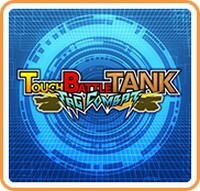 Players can choose between offensive and evasive tanks in Touch Battle Tank - Tag Combat. Watch out for the Super Boss Tanks in Touch Battle Tank - Tag Combat. They are challenging in this hand held video game. There is violence in Touch Battle Tank - Tag Combat. We blow up other tanks in this game. A lot of them too. I did not run across any other content that families might find offensive in Touch Battle Tank - Tag Combat on the Nintendo 3DS.